Regulatory « Steven J. Crowley, P.E. On November 30, the FCC adopted a Notice of Proposed Rulemaking (NPRM) as a preliminary step toward making the current TV broadcast spectrum available for use by fixed and mobile wireless broadband services. The proposed rules would do three things: 1) make fixed and mobile wireless services co-primary with broadcasting in the FCC’s Table of Frequency Allocations, 2) create a regulatory structure giving two or more TV stations the option to share one 6 MHz channel, and 3) improve VHF TV reception through power increases and adoption of receiver antenna standards. No service rules are being proposed; they’re to come later. Congress has yet to approve incentive auction authority. So, it can happen. That, and recent FCC talk of “unleashing” broadband made me think the above recommendations in the FCC’s Plan might get some traction. I’m less sure now after following the latest writings on the topic by spectrum expert Michael Marcus. In an August 17 post on his blog, Marcus asks why NTIA isn’t measuring occupancy of the almost exclusively-federal 225-400 MHz band. 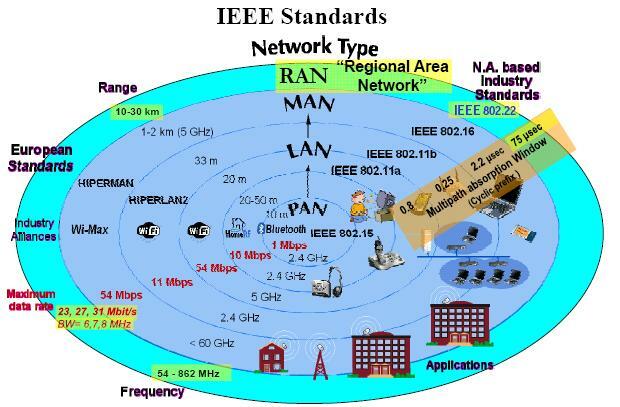 He finds that the Interdepartment Radio Advisory Committee (IRAC), NTIA’s advisory committee of federal users, is concerned that measurements in major cities – where spectrum is most needed – will show low occupancy because the band is primarily used by military aircraft. Marcus says enough with these delays; in the new era of cognitive radio and dynamic spectrum access technology, it’s time to see some hard spectrum data so sharing options can be examined. If you’re intrigued by that, there’s more. An August 9 post says an NTIA spectrum advisory committee “evades some major issues and pushes the parochial agendas of some committee members without trying to relate them to the broader public interests.” A May 10 post takes you inside that committee’s meeting, and observes a general effort to protect incumbent spectrum users. It can happen, but these reports suggest the timetable will be later rather than sooner.